Imagine this: you’re a chef and a customer enters the kitchen to tell you you’re chopping onions incorrectly. Or you’re carrying out a gym induction and the inductee questions your ability to adjust the weights. Maybe you’re a firefighter and a passer-by says you’re using the hose wrong. 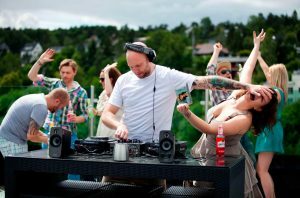 It’s unlikely to happen, so why do people think it’s acceptable to tell a DJ what they should and shouldn’t be playing? You’ve seen it all before. The Facebook comments slating a DJ for playing too hard, YouTube’s keyboard warriors begging for hard-as-nails techno instead of floaty house and the Twitterati complaining that another cheesy trance classic has closed out a set for a bunch of baby-faced ravers who were probably still in nappies when Kevin & Perry became heroes at Amnesia in Ibiza. Note: the track wasn’t by the late Avicii. It’s not even EDM. It was identified as the hypercolour ‘Immaterial’ by Sophie. The beef was that Objekt, the man behind 2017’s track of the year in ‘Theme From Q’, dropped a “curveball” *insert ‘face screaming in fear’ emoji*. OMG! How dare he break up a headsy set with a tune swirling with chipmunk vocal joy!? Festivals are meant to be fun remember, or was that forgotten when the chance to gain a few hundred likes with a salty social media post arose? Two weeks prior, Brainfeeder artist Ross From Friends was called out for playing Alice Deejay’s ‘Better Off Alone’ after chants of ‘one more tune’ in our weekly office party, The Lab LDN. 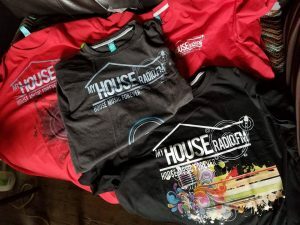 “Absolutely no need to go to [Denis] Sulta’s level,” one comment went, referring to the Scottish DJ’s tendency to inject trance-powered euphoria into nightclubs and festivals around the world. “Ah, he has let himself down with this,” another read. Everyone’s entitled to their opinion, yes, but can’t a fella have some fun to celebrate the release of his debut album? Besides, it’s pretty clear everyone in attendance enjoyed the brief trip back to 2000. Soma affiliate Rebekah revealed back in May that she decided to launch her Elements label and party showcases because she experienced a backlash for “being too fast and too hard”. If she wants to make and play blitzing techno, so be it. Dance music was founded on the basis of freedom and expressionism don’t forget. For everyone who doesn’t want techno, there’s someone that does. As was the case when our DJ Of The Year Nina Kraviz played in Melbourne in 2016. Some ravers were so pissed off at her “wild, ravey mix” they demanded they get their money back. God forbid an artist who’s never approached techno in the archetypal ‘doof doof’ way to surpass 140bpm and take her DJ sets off piste with relentless rippers like Shadowwax’s ‘I Want To Be A Stewardess’! Nina called her label трип (pronounced ‘trip’) for a reason. It needn’t take hours of Reddit scrolling to find out why. Nina’s lengthy post about the criticism said quite possibly “they wanted three hours of long steady beat narrative”. Two years on, Jackmaster echoed that sentiment. “What they want, usually on most of today’s dancefloors, is to hear some kind of familiarity, some crescendos, a steady beat. Nowadays the crowd seems to like harder music but what they need is to be educated and for their minds to be opened, maybe exploded!” He’s right. If you’re not open to DJs introducing you to music you didn’t expect – or want – to hear, you might as well stay at home watching archive rave footage. DJs are paid to play. It’s their job. If they want to use that platform to explore new sounds, travel through genres, have a bit of fun or school those on the dancefloor, we should let them do that. So next time you think about telling Skream to start playing dubstep again, take a second to remind yourself that he’s probably more qualified than you are in a DJ booth.